This is a unique opportunity to get 1 on 1 or small group training, outside of your School or Travel team. We have many Specialty trainers available to help you focus on your needs and wants. 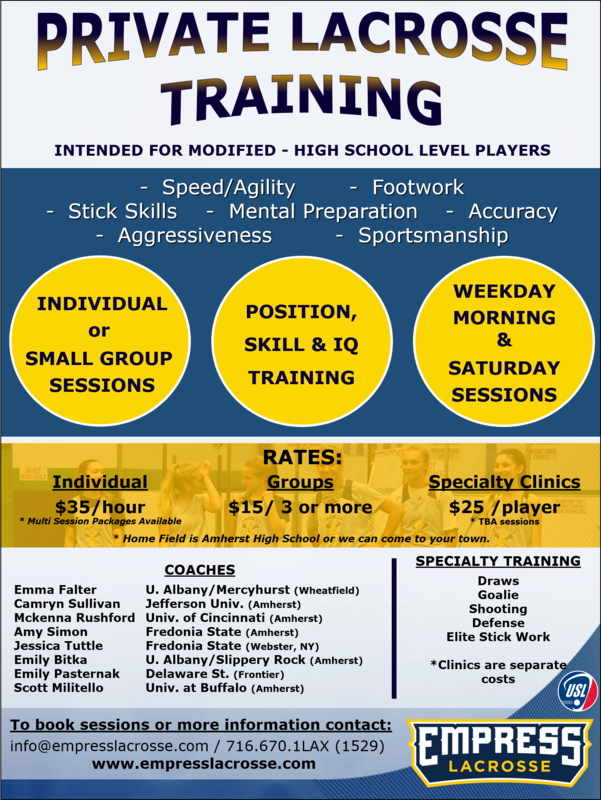 To book time contact: info@empresslacrosse.com or 716-670-1LAX (1529) Weekdays and weekend sessions available.